Jamiesons’ is a privately held, family-owned company with 17 employees, all but two have been with the Northwest Ohio retailer for over a decade. Today, we provide the highest quality audio and video equipment, as well as expert design and integration for your home or business. We offer expert sales, design and installation in both new construction & existing residences. Our design team integrates the best audio, video components into an easy –to-use system that you will fall in love with. 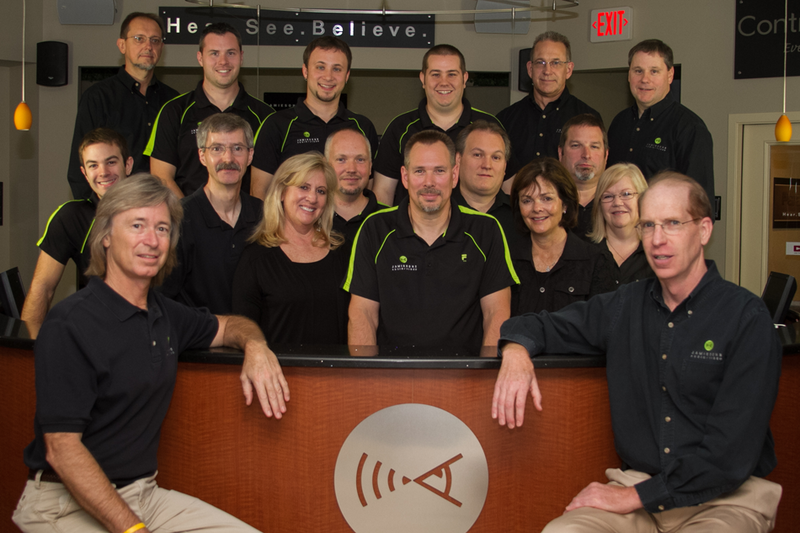 Our staff will help you get started in planning your home network and wireless systems. With a touch of a button your home can be automated. Let us show you how! Call to schedule an in home consultation. We are experienced in: Home Theaters & Media Rooms, Custom Whole-House Audio/Video Systems, Smart Home Automation & Control Systems, and Telecommunication & Networking Systems for Homes and Businesses.